Add all the ingredients to a blender and whip for about 5 minutes and/or until the ingredients are well combined. 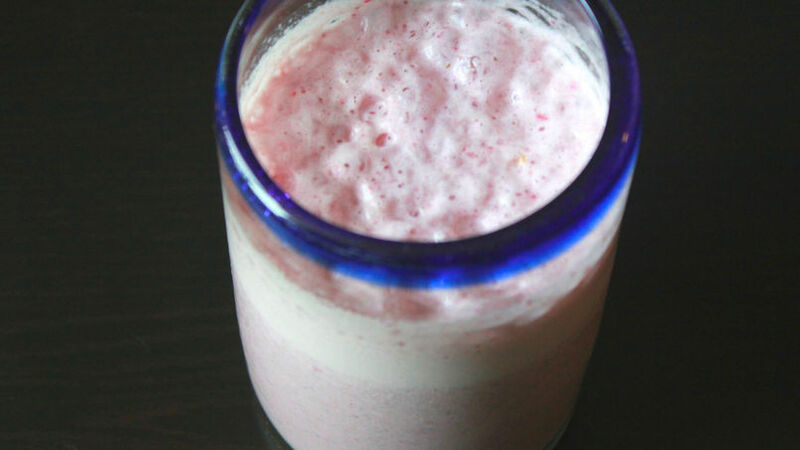 This smoothie can be sweetened with agave syrup or honey if you prefer. There’s nothing more refreshing than a fruit smoothie to help combat the summer heat. The best part of this drink is that it’s so easy to prepare that we can mix our favorite fruits with milk and/or yogurt to create a delicious mixture. I’m using very few ingredients to prepare the smoothie I’m showing you today and the result is delicious.